I had a lot of fun coming up with a mixed gender color palette and design style. 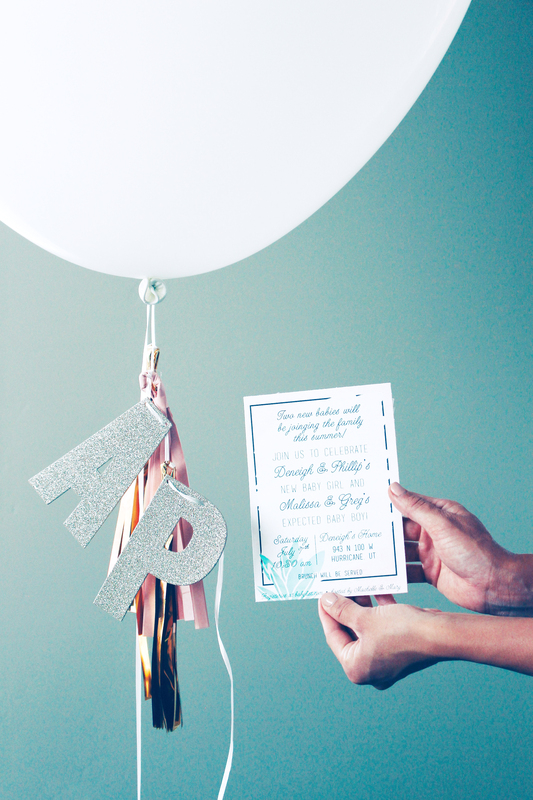 As with all of my parties, it always starts with the invitation! This one isn’t super graphic, it’s definitely a more simple, font-based style. The background is a light watercolor pink but it’s not overly feminine. A little succulent in the corner brings in some nice turquoise and mint green hues. You can purchase it to use for your party via our Etsy shop. When I designed it I wasn’t sure what the party would end up looking like or even what colors I’d use. But, shortly thereafter I found a ton of dishes and serveware from Anthropologie that had the same pinks and greens as the invitation. They also featured blues, turquoise, and some dark pinks. Of course, being from Anthro, they were gorgeous. 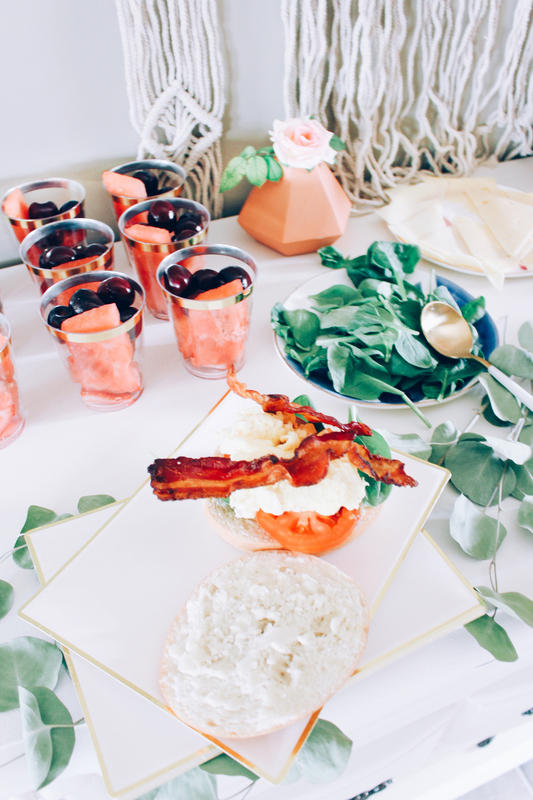 They inspired the rest of the palette, which was perfect for a mixed gender baby shower brunch. Somehow I didn’t get many pictures featuring the dishes that really made the shower but they brought the whole vision together. 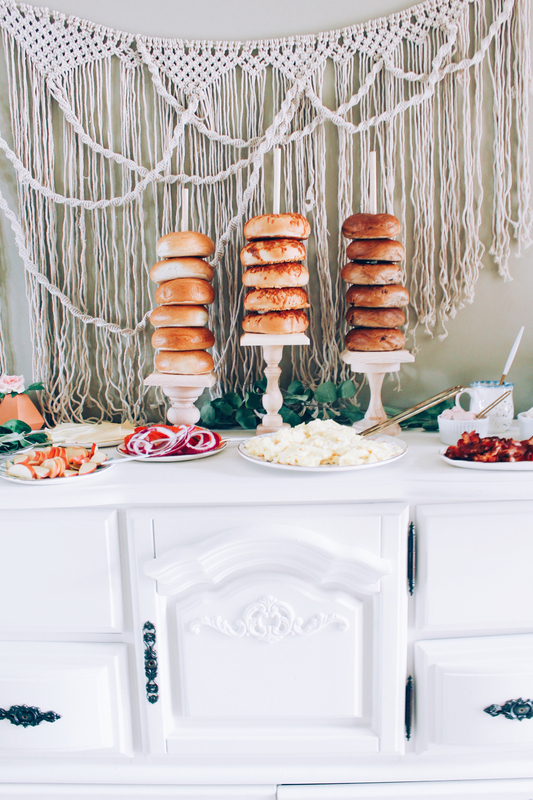 I love those donut towers (who doesn’t) that have been featured at many a party the last few years. 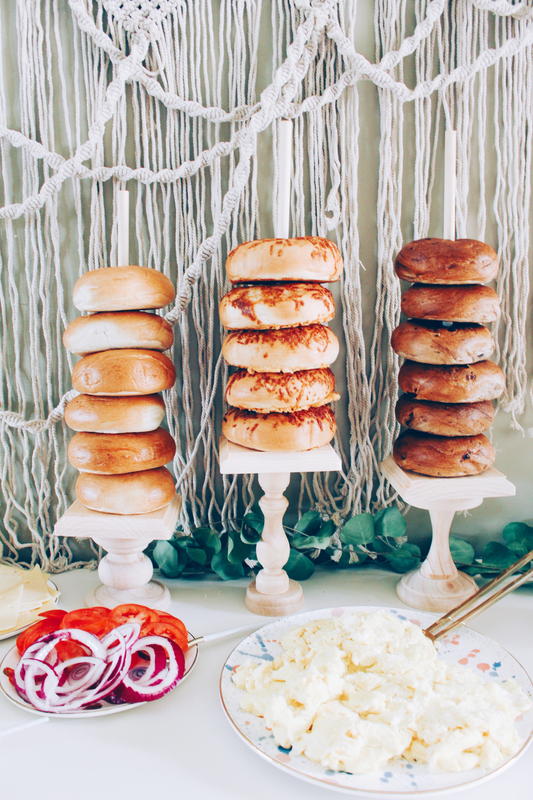 So we decided to do a take on that, using bagels instead of donuts! The natural wood stands were easy to make, I followed this tutorial and left the stands unpainted. 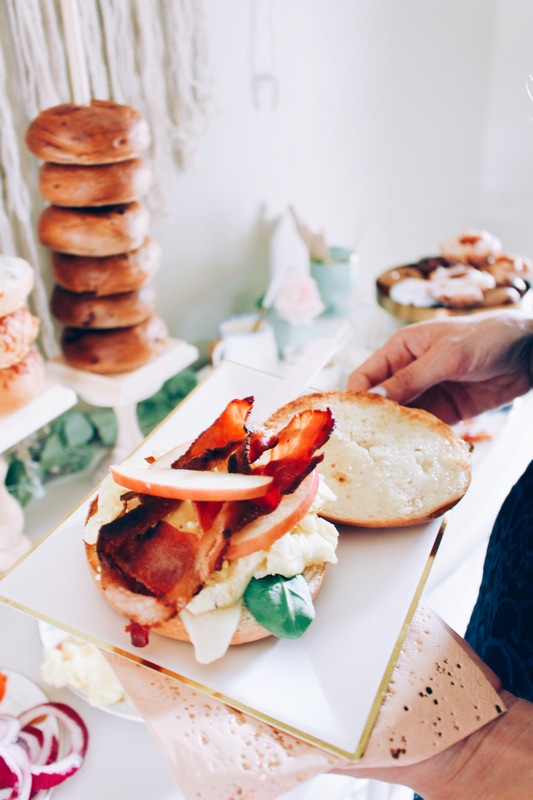 We spread the rest of the toppings that you could possibly want on a bagel around the stands and everyone helped themselves to custom bagel sandwiches. 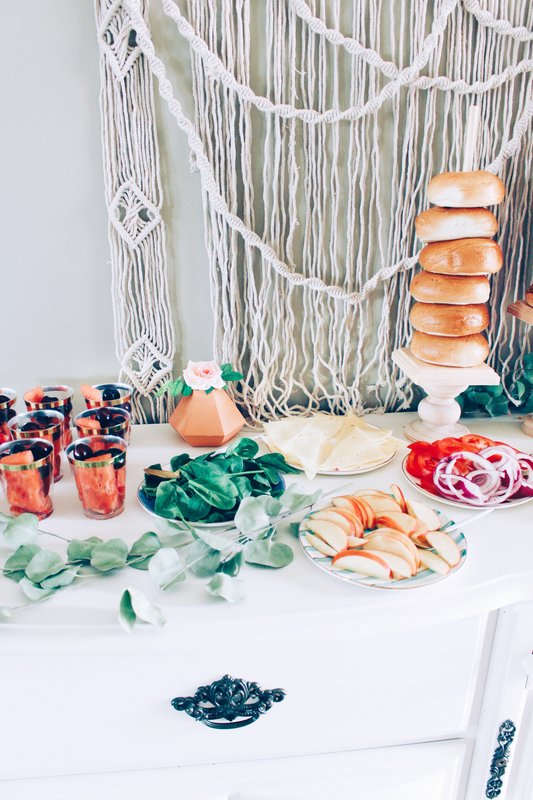 I love to use paper party ware for my parties because it’s simple for cleanup but also because it means the dishes can be customized to every party without breaking the bank! 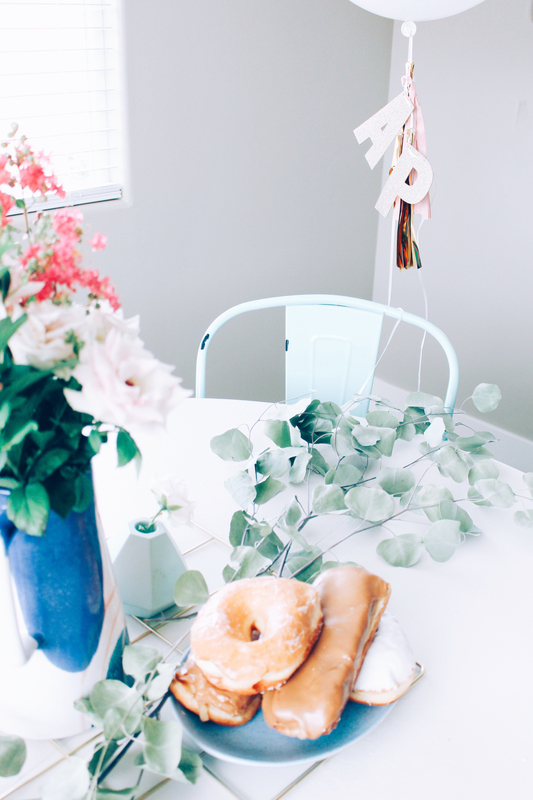 Sugar and Cloth has a lovely line of disposable paper goods that we incorporated into this party. 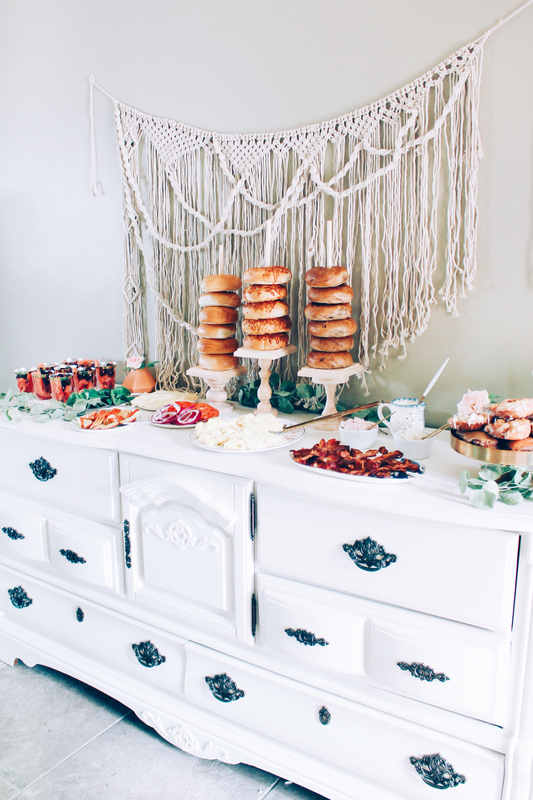 I used this lovely macrame wall hanging as the backdrop for the bagel bar. It brought in some lovely texture and, looking at these photos now, reminds me that I need to find a permanent home for it somewhere at my house! I just adore macrame hangings like this. You can find a ton of similar options on Amazon. My sister in law’s dining area fit right in to the shower color scheme. One of my favorite things to do at a spring or summer party is to collect local fauna to add to the purchased flowers. 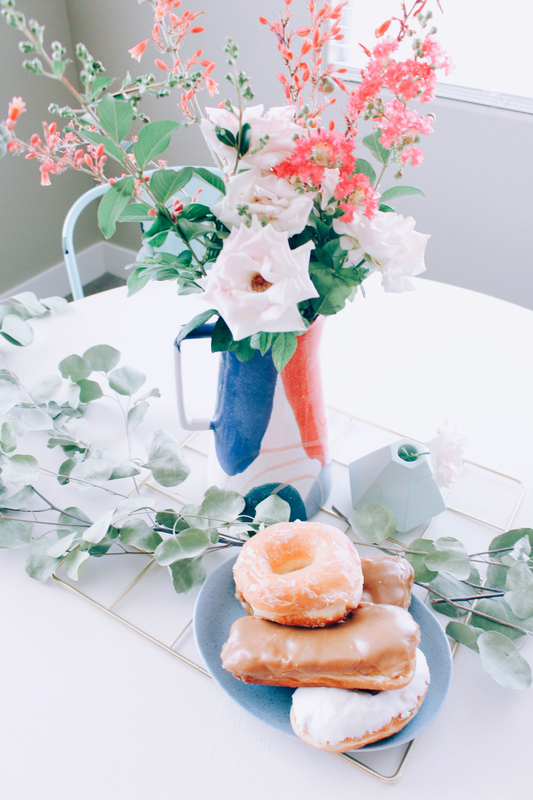 I typically pick up a few bunches of greenery, like silver dollar eucalyptus, and some flowers you can’t count on finding, like peonies, and then I take a walk around and gather other delights that go with the party. I love the flowers I was able to find just in my sister in law’s backyard! 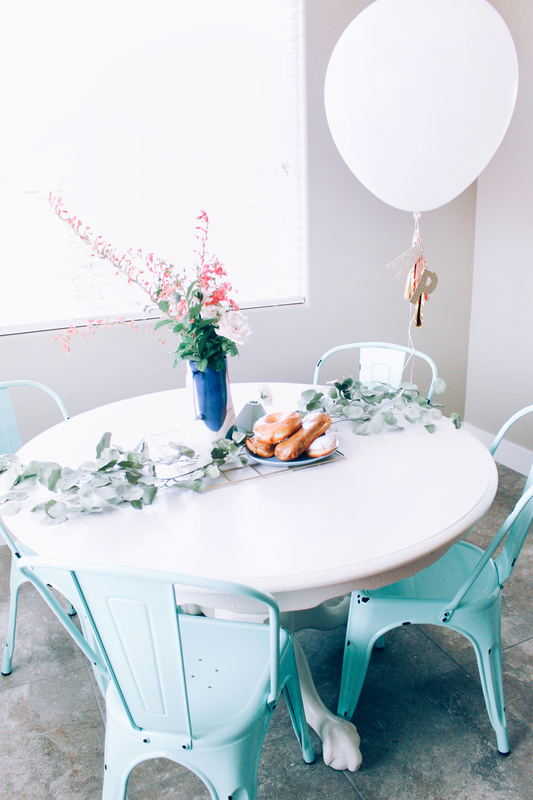 There where supposed to be two separate 36″ balloons, one for hanging each of the babies’ initials, but one popped while being filled :( With these balloons, I cannot recommend enough to stay while they fill them. All the places I go to tend to way overfill them and I dislike the elongated look they take on. Plus, they could pop! It costs a good $20 per balloon once filled so you do not want to waste that money! Sometimes the person asks me multiple times if I’m sure I want to stop where I do because they can take on quite a bit more. But don’t let them talk you into something you won’t like! If you like the look of a nice round geronimo balloon, stand your ground and tell them to stop the helium early. 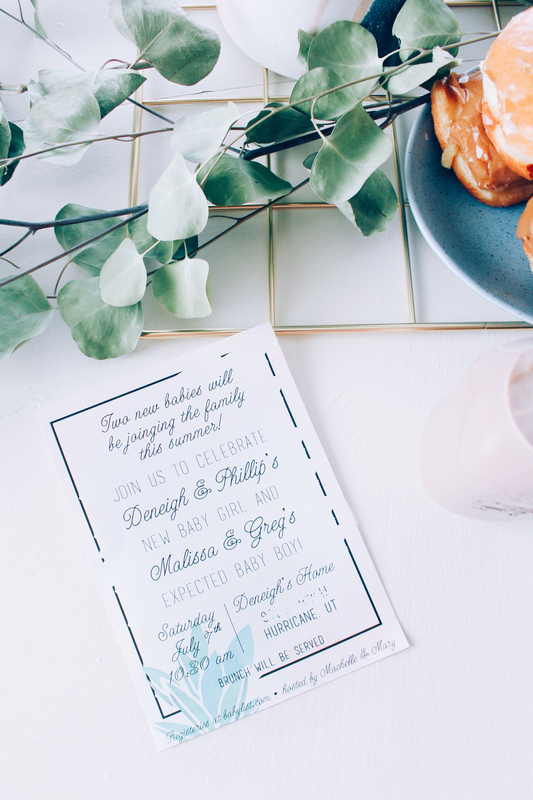 Minimal DIY Gender Reveal Nesting Dolls Machelle’s Baby Shower Brunch! 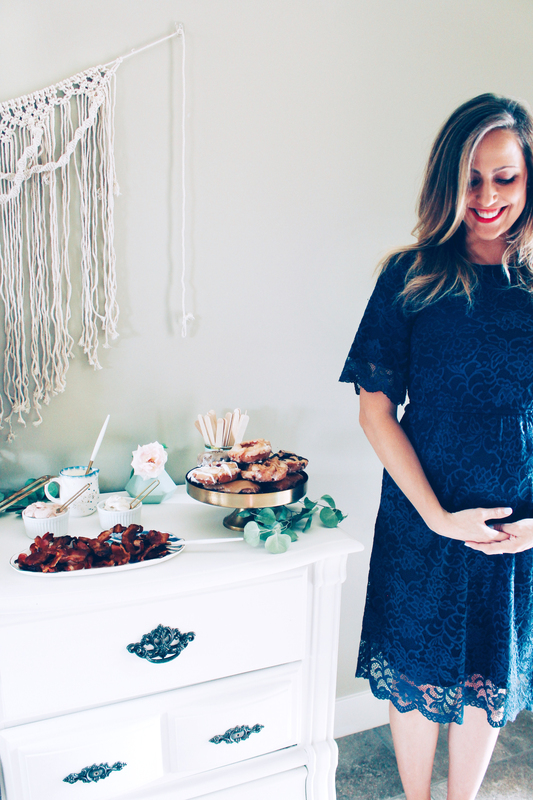 Adventure Awaits Baby Shower for Malissa’s Baby Boy!